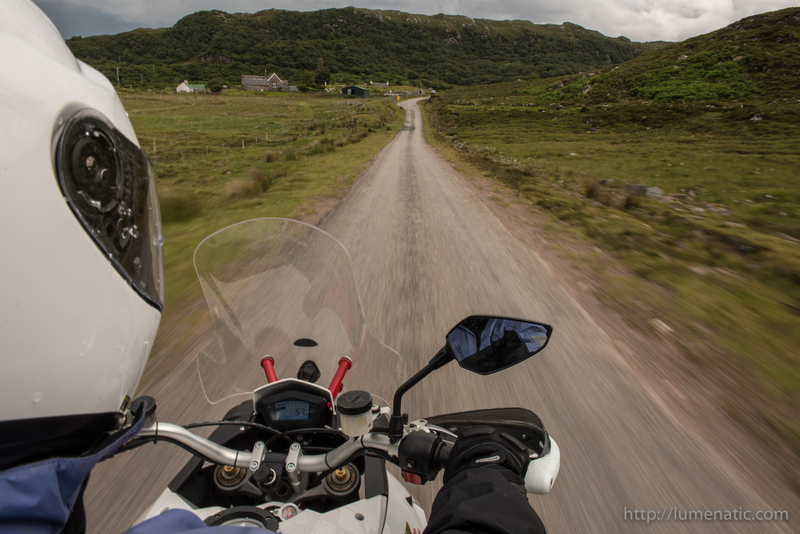 Photographing motorcycles is all about the action. 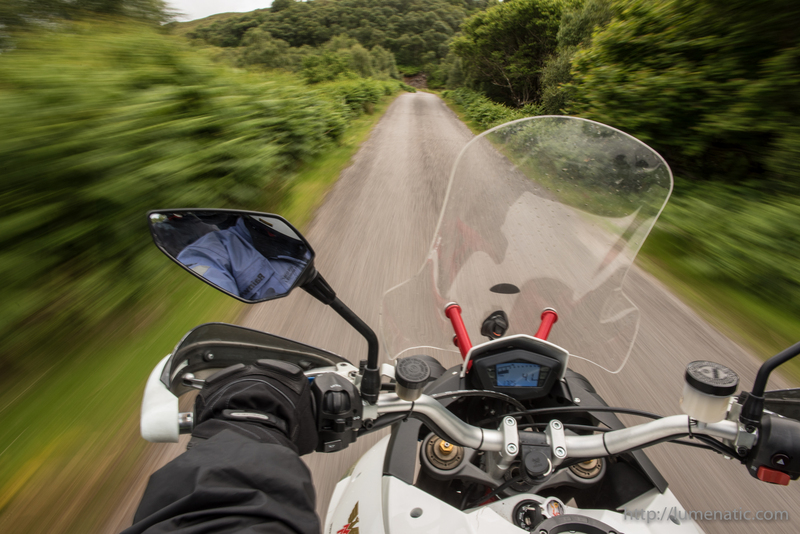 Capturing the speed and showing the dynamics is at the heart of motorcycle shots. 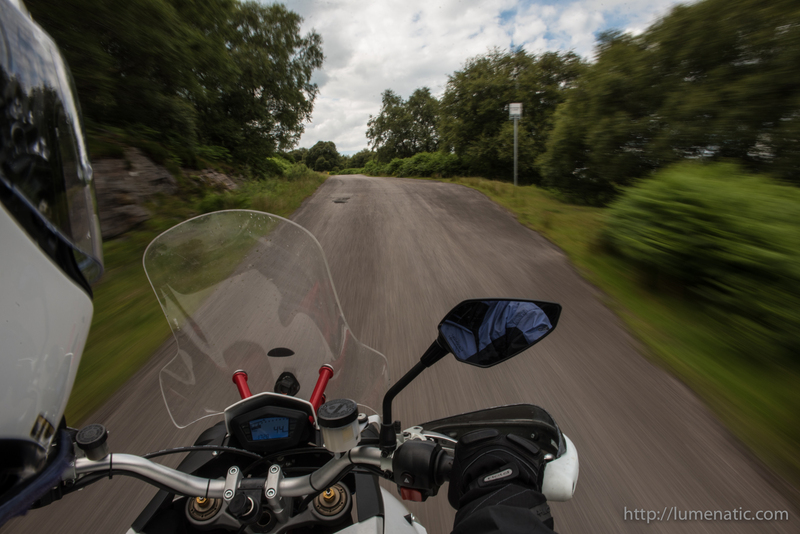 I already wrote an article about shutter speed in motorcycle photography (read it here), but I wanted to do a separate article on what I dubbed the “piggyback method”. 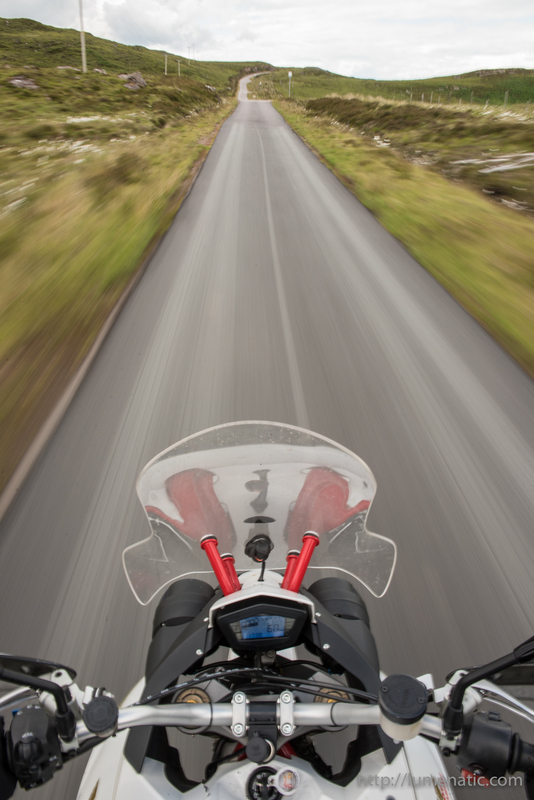 This method involves the photographer sitting on the pillion rider seat and shooting over the shoulder of the driver. The slower the shutter speed, the more motion blur will occur. I set my camera to burst mode and fired off a series of images. Even at 1/20s I was able to take at least one shot, where the cockpit of the bike is sharp. Using LiveView on the camera helps a lot, you can’t use the viewfinder due to wearing a helmet. The cockpit is sharp, because it is not moving relatively to the camera during the exposure. The environment on the other hand zooms by. That is why the environment is subjected to heavy motion blur. If you look at the above image you will notice, that the motion blur decreases, as the distance from the camera increases. Why ? Everything close to the bike flies past you. But the farther an object is away, the less it will move towards you during the exposure (relatively to the total distance from you). Let’s take an example. Let’s say you are driving at 50 km/h, that is 13,9 m/s. If an exposure is 1/20s, the bike will move forward 0,69 m during the exposure. 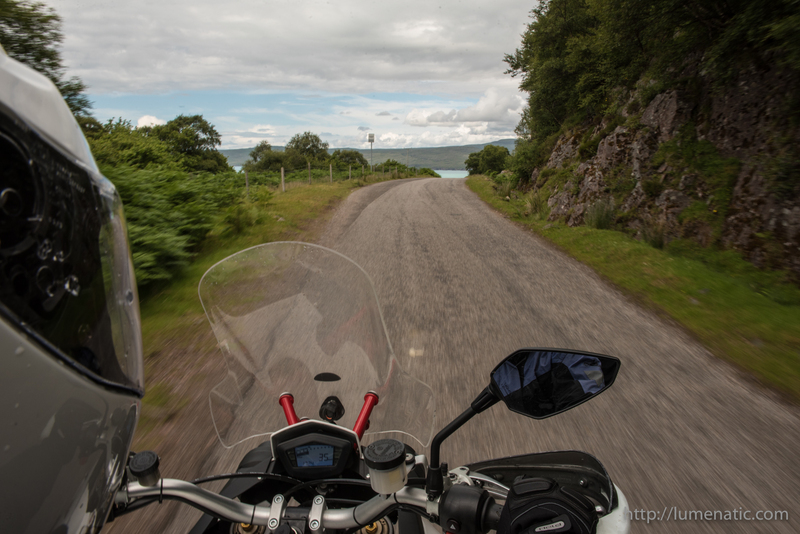 An object which is 2 m from the bike at the beginning of the exposure is 1,4 m from the bike when the exposure finishes, less than 2/3 of the original distance. An object which is 100 m away at the beginning of the exposure is 99,3 m away at the end. Relatively seen it has not moved very much. Therefore less motion blur is induced. It is a fun ride, although the driver can’t drive roughly. Remember you sit on the back of a bike with only one free hand (if at all). Sharp acceleration or braking is not desirable. The method involves a certain degree of risk, both for yourself and your gear. It is advisable to secure the camera with a strap around your neck. Also advise the driver to drive _extra_ responsibly and not attempt any stunts. Be careful !